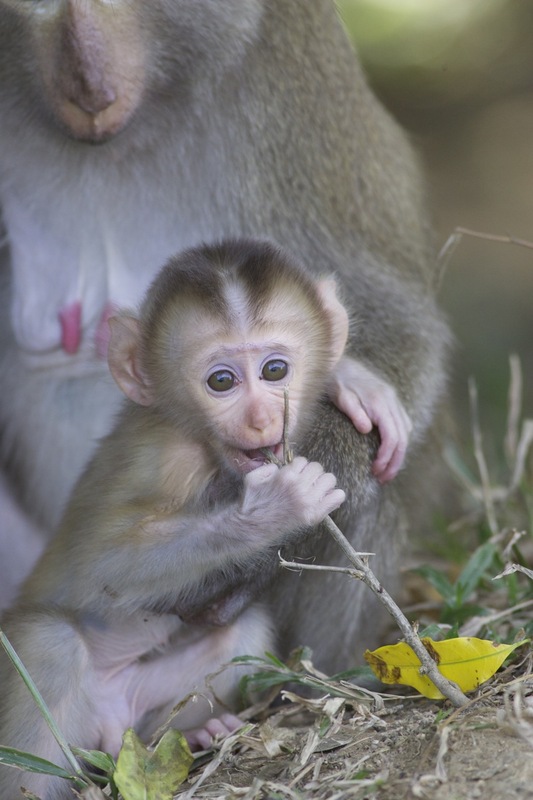 Just back from Christmas and New Year in Thailand. In between the sightseeing, hitting the markets and the Thai cooking course (yes, really), I managed a bit of birding. Highlight has to be the Hornbills at Khao Yai. 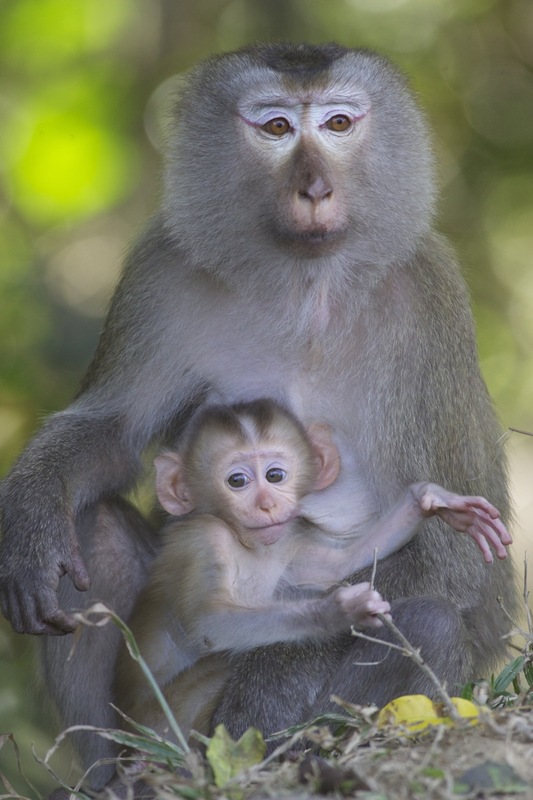 We enjoyed two full days in Khao Yai and, with an expert guide, Komuel (who, incidentally was mauled by a tiger about 15 years ago and sports nasty scars on his arm to prove it), I was keen to explore the less-visited parts of the forest park to look for birds, in particular Hornbills. 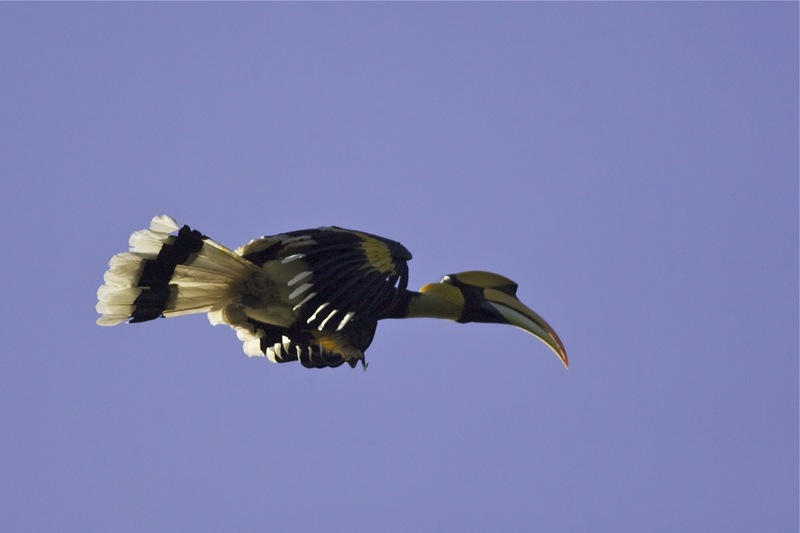 There are four species of Hornbill in Khao Yai – Great, Wreathed, Oriental Pied and Brown – and we started early to try to catch their early morning feeding frenzy. Hornbills tend to favour large, mature, fruiting trees and the trail we followed took in several of these hulks that looked several hundred years old judging by their girth. It wasn’t long before we were enjoying good views of Oriental Pied Hornbill and then, shortly afterwards, a pair of Wreathed. All were in the treetops feeding with unexpected dexterity, seemingly despite their enormous bills. As the track wound deeper into the forest we flushed one, then a second, Siamese Fireback and a pitta sp shot across the path and disappeared before we had a chance to identify it. A little further on we heard an astonishing “whooosh—-whoosh” as two Great Hornbills flew over our heads through the canopy and landed in a tree a short distance away. The sound of these birds’ wings was simply awesome – and as they passed overhead casting shadows over us, there was a distinct prehistoric feeling in the air. It was almost as if we had been transported back in time to the age of the pterodactyls. We reached a small clearing from where we could see the birds feeding and, after a few seconds, I couldn’t believe my luck when one flew straight over our heads. I grabbed the camera and reeled off about 10 shots as it laboured to the other side of the clearing. Wow! This bird was then followed by a second, then a third, then a fourth bird, and we watched in awe as these magnificent birds meandered from tree to tree. As they disappeared deeper into the forest, we continued our walk and we enjoyed views of 2 Red Junglefowl, Red-headed Trogon, Greater Flameback, Scaly-breasted Partridge, Hill Myna, White-bellied Yuhina, Asian House Martin and White-crested Laughingthrush. We also encountered fresh elephant tracks, bear scratches on the bark of a tree, Pig-tailed Macaques, Gibbons and Giant Black Squirrels. 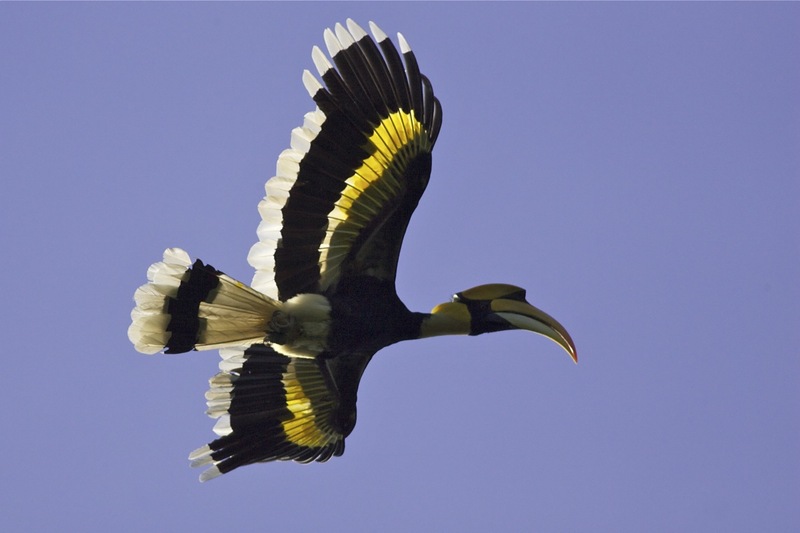 However, it is the Great Hornbills that will remain strongest in the memory – smashing birds. Glad you enjoyed your Thai experience, Terry. Good you had the guide to smooth out your way to the hornbills et al, too. The first time I encountered mine I there was only a glimpse as it disappeared into the trees, and then after a while horrific and surreal growlings from somewhere unseen, way up in the leaves. Nobody to interpret or explain what it was/they were. Thanks for the report – good to get back down there (vicariously). I expect the balmy weather down there has softened you up quite a bit, too, now that you are back to cold reality! 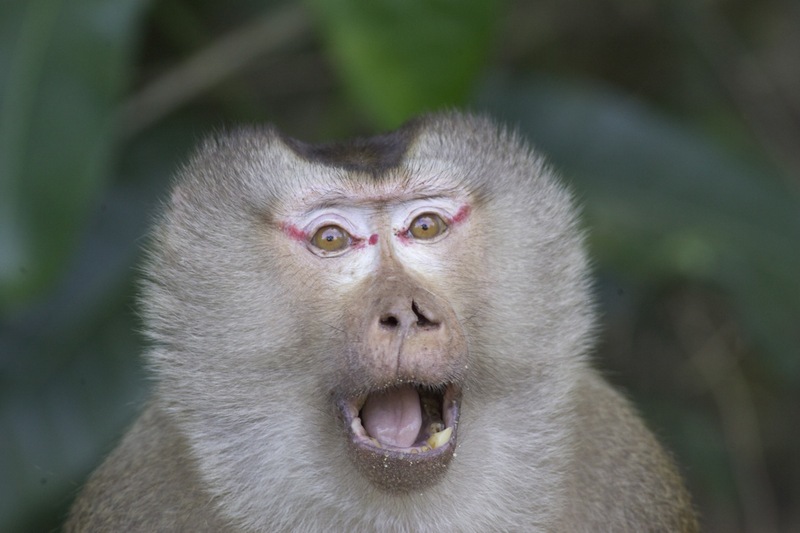 I googled ‘Khao Yai Hornbill images’ and found your blog. 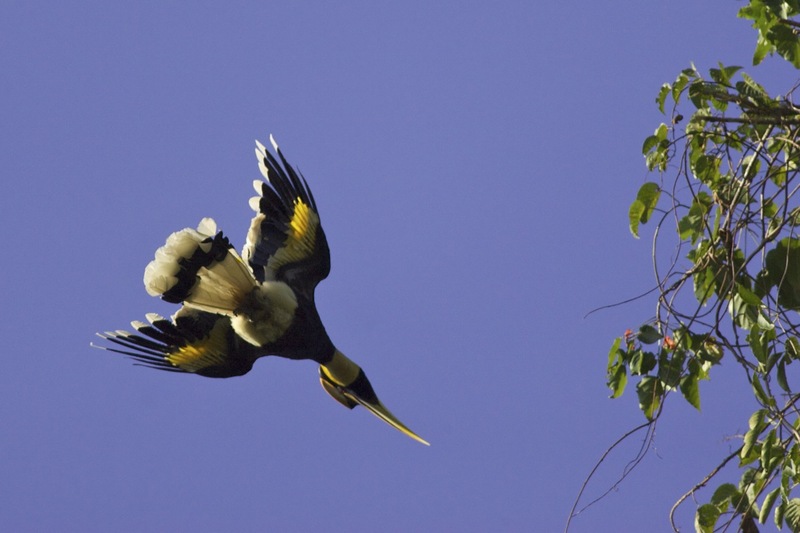 Thank you for the fantastic photographs of the hornbills. 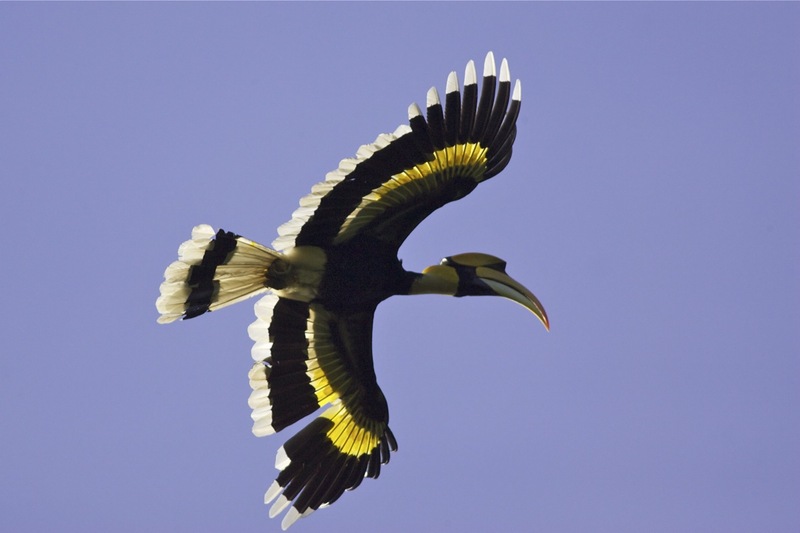 So helpful to see the bird in flight with wings tucked down, as I am doing drawings, designing plates with flying hornbills – mainly because I saw them/heard them – flying hoovers it sounded like – in 1988 in Khao Yai, and still love the memory, the shadow cast over us as they passed and especially seeing them swoop in one morning to sunbathe together along branches, crooning their necks up and wriggling to get the sun just where they wanted it. No such thing as a camera at the time, just my drawings. Our subsequent trip to Sarawak, ‘Land of the Hornbill’, produced not one sighting. Not of a wild bird anyway, plenty of people dressed up as hornbills, dancing as hornbiblls and holding ancient dusty feathers. You have had a treat. Hi Sarah, thanks for the comment. My encounter with the Great Hornbills will stay with me for a long time. They had a distinct prehistoric feel as these ‘flying hoovers’ flew overhead. A wonderful experience. Would love to see your drawings when they are finished..!